Farmer Armor, Poison Gladius, and Bloodsky! 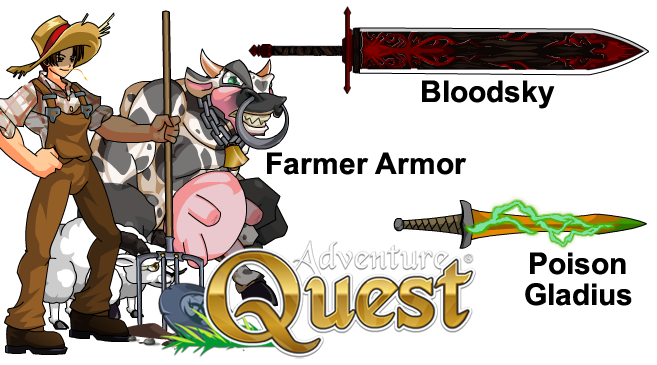 • Farmer Armor commands the mighty power of the sheep, and assails your enemy with plentiful helpings of milk and wool. • The Poison Gladius will add Poison to all your armor’s attacks. • Bloodsky will bleed your enemy’s life essence and make it your own.